How does life take shape? What is life? Life is a condition that distinguishes organisms for inorganic matter, which is manifested by growth, reproduction and the power of adaptation to the environment. 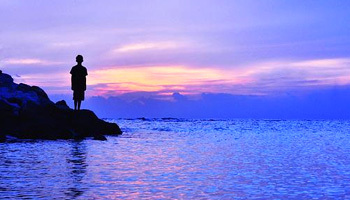 Life..... the very thought of it evokes curiosity, astonishment and many questions that cross our mind.. What is Life? How life came into being amidst turbulent and hostile conditions prevailing at that time on the earth? Is life so adamant and at the same time resilient to face harshest of harsh conditions and yet survive to flourish into multitude of diverse organisms and creatures? Who could have thought of life germinated in such harsh conditions would take a pleasant shape in the form of flowers and trees providing a visual treat to the eyes and How life evolved from a single celled organism to the most advanced level of intelligence that is manifested in humans? 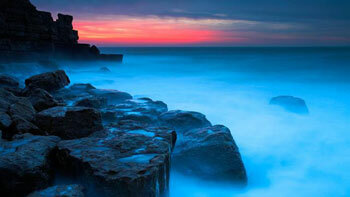 Persistence of life Life has been found living inside rocks in the various extreme environments on Earth. Clues derived from finding life in such terrestrial locations will serve as a guide to understanding where we might find life on other worlds. There is no universal definition of life and there are a variety of definitions proposed by different scientists. Life is a condition that distinguishes organisms from inorganic matter, which is manifested by growth, reproduction and the power of adaptation to the environment. Properties common to a diverse array of living organisms such as fungi, protists, archea, bacteria, plants and animals include a cell structure with heritable information. They undergo metabolism, posses a capacity to grow, respond to stimuli, reproduce and through natural selection adapt to the environment, in successive generations. So life is defined by scientists a characteristic of organism that exhibit these phenomena. According to Physicist Erwin Schrodinger, life feeds on negative entropy by decreasing the internal entropy of organisms at the expense of free energy taken in from the environment and subsequently rejected in a degraded form. 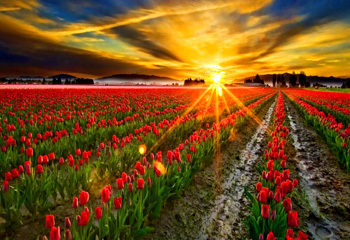 "Let us continue with the beautiful journey of what is called life exploring amazing facts on the way". An artist&apos;s conception of Earth 3 billion years ago. 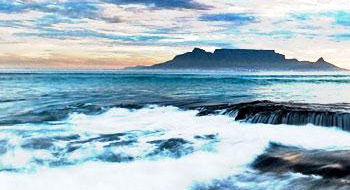 During its dramatic 4.5 billion year history, Earth has gone through a series of major geological and biological changes. Despite knowing approximately when life first appeared on Earth, scientists are still far from answering how it appeared. The universe started from a point of singularity and expanded to infinite dimensions, and life is no exception. Today&apos;s Earth is home to a vast and varied population of living things, yet all life on this planet Earth traces back to some time more than 3 billion years ago. The histories of Earth and its life are inseparable. Where does life&apos;s diversity come from? Where do new species come from? Why do some species go extinct? How did things go from non–living to living? From something that could not reproduce to something that could? These are just a few of the questions that can be answered by understanding life, evolution, genetics, and biodiversity. These disciplines explain the mechanisms that shape how organisms interact with their environment and in turn, how the environment shapes organisms over many generations. Evolution is fascinating because it attempts to answer one of the most basic human questions: Where did life, and human beings, come from? The theory of evolution proposes that life and humans arose through a natural process. Today&apos;s Earth is home to a vast and varied population of living things. Its earliest times were geologically violent, and it suffered constant bombardment from meteorites. When this ended, the Earth cooled and its surface solidified to a crust - the first solid rocks. The atmosphere on early Earth was strikingly different from that of today. Primitive Earth&apos;s atmosphere consisted of methane, ammonia, hydrogen, water vapor, and only a negligible amount of free oxygen. This is a very important point because with a lot of free oxygen available, life probably could not have arisen from inorganic compounds. This is because oxygen tends to oxidize substances, which means that electrons are removed. The early atmosphere was actually highly reductive (capable of gaining electrons and forming more complex molecules). Chemical Evolution The formation of complex organic molecules from simpler inorganic molecules through chemical reactions in the oceans during the early history of the Earth; the first step in the development of life on this planet. In one proposed scenario (referred to as chemical evolution), the first organisms arose from a four–stage process. The first stage of chemical evolution likely involved the abiotic (not of biological origin) synthesis of small organic molecules (monomers) such as amino acids and nucleotides. Ultraviolet light from the sun would easily have reached the surface of Earth (ozone did not exist at that time) and would probably have been the primary source of energy to drive these synthesis reactions. In the second stage of chemical evolution, these monomers likely joined to form polymers. 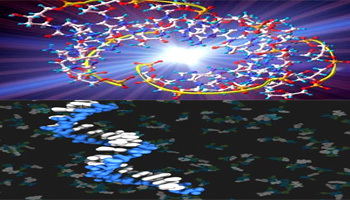 Two key polymers for any type of genesis of life would have been proteins and nucleic acids. In the third stage of chemical evolution, polymers would have aggregated into protobionts (Protobionts are systems that are considered to have possibly been the precursors to prokaryotic cells) , which would have been separate entities distinguishable from their surroundings. Finally, these protobionts would have developed some type of heredity mechanism, hence the need for nucleic acids. 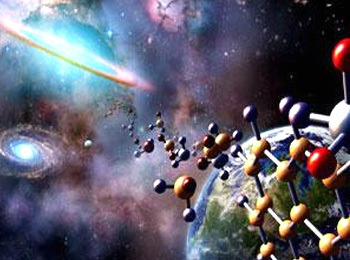 The RNA world hypothesis It proposes that self–replicating ribonucleic acid (RNA) molecules were precursors to current life, which is based on deoxyribonucleic acid (DNA), RNA and proteins. Once the organic polymers formed and became organized into protobionts, they needed a way to copy themselves. This is a key point in any discussion about life&apos;s origin. Most modern organisms use a DNA–based replication system, but this is believed to have been too complex for early life forms. 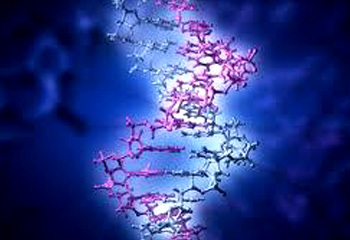 It is generally accepted that before DNA, there was an "RNA world". Modern RNA polymers provide much insight into the proposed function of RNA as the first hereditary unit. RNA has properties similar to DNA and proteins because it is a genetic molecule with enzymatic action. RNA is the sole genetic material for some viruses, and it serves as a carrier of genetic material in many living organisms. RNA is able to polymerize by using clay or other substrates as a catalyst. RNA can self–replicate short strands even. The enzymatic properties of RNA were discovered by Cech and his co–workers in 1980s. 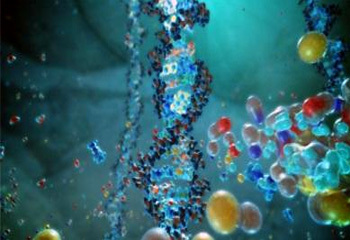 They found that there are RNA molecules that help catalyze the synthesis of new RNA, remove some sequences from mRNA, and join peptides to form proteins. In an "RNA world", there would have been single strands of RNA with a genotype and characteristic phenotype. A single strand of RNA folds back onto itself, and portions that are complementary pair. Thus, the order of nucleotides would have provided the genotype and the 3–D folding and pairing would have provided the phenotype. This is unlike a "DNA world", where double–stranded DNA has a genotype and the proteins produced determined the phenotype. In the laboratory, some single–stranded RNA is more stable and replicates better under certain conditions. Thus, this RNA is more likely to occur in the next generation of molecules. Origin of Prokaryotes and Eukaryotes. Like most inventions, life started out simple and grew more complex with time. For their first three billion years on earth, living creatures were no larger than a single cell. Gradually, the forces of natural selection worked on these simple organisms until eventually they became bigger, more sophisticated and more intricate. A protobiont would accumulate "membrane" molecules while the RNA inside was replicating and catalyzing the formation of short proteins. At some point the protobiont would stretch and pull, such that it is split into two. Those RNA molecules that were less stable and did not replicate quickly would not be as numerous in the next generation as those that were more stable and replicated more quickly. Thus, protobiont with self–replicating RNA really does represent a primitive form of life. All intricate organisms are evolved from Prokaryotes Prokaryotes are mostly bacteria, and their advancements led to more complex living organisms. RNA World is the first proposed step in transitioning from non&dash;living to living. Several hypotheses describe the assimilation of chemicals into an order that responds to the environment in a living sort of way. If we assume those ideas are correct, the next step is the world of the living. The prokaryotes are a group of organisms that lack a cell nucleus(= karyon), or any other membrane–bound organelles. The organisms that have a cell nucleus are called eukaryotes. Prokaryotes are mostly bacteria, and their advancements led to more complex living organisms. 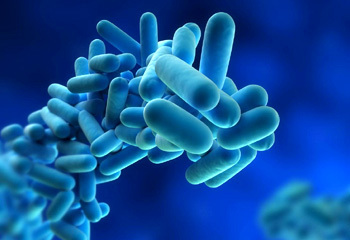 It has been suggested that the bacteria resulted from this evolution and as bacteria modified structures to expand their territory and tolerance, they changed into newer species of bacteria with diverse structures and functions. Due to their uniqueness, bacteria are classified in their own kingdom. Advancements in the structure and function of prokaryotes continued to the juncture where two separate types are now identifiable: bacteria and archaea. Evolutionary transition from single–celled (unicellular/prokaryotes) creatures to humans. Eukaryotic cells arose from symbioses and genetic exchanges between prokaryotes. Eukaryotic cells differ in many respects from the generally smaller cells of bacteria and archaea. Even the smallest single–celled eukaryote is far more complex in structure than any prokaryote. The most fundamental question is to know how these complex eukaryotic cells evolved from much simpler prokaryotic cells. A process called endosymbiosis probably led to mitochondria and plastids (choloroplasts). The theory of endosymbiosis proposes that mitochondria and plastids were formerly small prokaryotes living within larger cells. The term endosymbiont refers to a cell that lives within another cell, which is called host cell. After the first eukaryotes appeared, a great range of unicellular forms evolved, giving rise to the diversity of single–celled eukaryotes that continue to flourish today. But multicellular forms also evolved. Their descendants include a variety of algae, plants (mosses, ferns, gymnosperms and angiosperms), fungi, animals and human beings. Evolution of complex Photosynthetic organisms Life is a continuum extending from the earliest organisms to the great variety of species that exist today. Plants produce their own sugars and other foods (autotrophic) by photosynthesis. Fungi are mostly decomposers that absorb nutrients by breaking down dead organisms and organic wastes, such as leaf litter and animal feces. Animals obtain food by ingestion, which is the eating and digesting of other organisms. It, is, of course, the kingdom to which we belong. Now, we can move ever closer to understand “how a single microscopic cell develops into a complex plant or animal; how plants convert solar energy to the chemical energy for food; how the human mind works; how various forms of life network in biological communities such as forests and coral reefs; and how the great diversity of life on Earth evolved from the first microbes”. The more we learn about life, the more fascinating it becomes, as progress on one question leads to even more questions that will captivate curious minds for decades to come. More than anything else, life is a quest, an ongoing inquiry about nature. 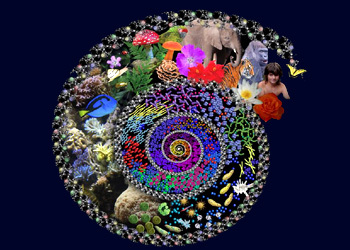 Thus, Life is a continuum extending from the earliest organisms to the great variety of species that exist today. It is difficult for us to appreciate exactly how far back life has existed on Earth. One unique character of DNA is its unity and yet differ in infinitesimal variety DNA, the universal genetic language is common to organisms as different as bacteria and animals and among eukaryotes. Questions about the earliest stages in the origin of life on Earth may never be fully answered because, as far as we know, there is no record of these ancient events. Many later events, however, are well documented in the fossil record. Careful study of fossils opens a window into the lives of organisms that existed long ago and provides information about the evolution of life over billions of years. As diverse as life is, there is also evidence of remarkable unity, especially at the molecular and cellular levels. DNA, the universal genetic language is common to organisms as different as bacteria and animals and among eukaryotes, unity is evident in many features of cell structure. 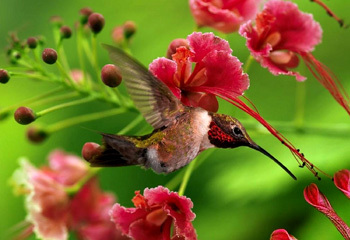 Example for natural selection A hummingbird's long bill and tongue evolved to let the bird reach deep into a flower for nectar. 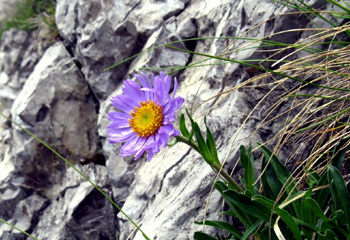 The survival and sustenance of life however depends upon the phenomenon– Natural selection. The organisms best suited to survive in their particular circumstances have a greater chance of passing their traits on to the next generation. Plants and animals interact in very complex ways with other organisms and their environment, to produce the amazingly diverse range of life forms present on Earth. Darwin called this mechanism of evolutionary adaptations “natural selection” because the natural environment “selects” for the propagation of certain traits. We see the products of natural selection in the exquisite adaptations of organisms to the special circumstances of their way of life and their environment. By understanding natural selection, we can learn why some plants produce cyanide, how animals first emerged from the ocean to live on land, and how some mammals eventually went back again. We can even learn about microscopic life, such as bacteria and viruses, or figure out how humans became humans. Thus, the single–celled protobionts (prokaryotes) took the path in becoming everything from amoebas to zebras, and the path human beings continue to take today as they respond to environmental stimuli and steadily change into something more suitable for the world around us. Thus, several lines of evidence indicate that life has been present for most of earth history. Prokaryotic ecosystems dominated the first two billion years of life on earth. Eukaryotes are thought to have arisen from prokaryotic ancestors through stages of endosymbiosis..